Japan-based Sumitomo Metal Mining Co. Ltd. (TSE:57130) announced Monday it will build a scandium recovery pilot plant in the Phillipines. The rare earth element plant will be built later this year on the southwestern Palawan Island, where the company's subsidiary Coral Bay Nickel Corporation is located, with operations slated to begin in 2014. The company said it has been working on developing the recovery method at one of its research labs in Japan, according to Filipino GMA News. Sumitomo also said small quantities of scandium are found in the ore used by Coral Bay to produce nickel-cobalt mixed sulfide. The recovery forecast is for 10 kilograms per month. If the pilot plant is successful, Sumitomo plans to build a scandium oxide production facility for commercial quantities. 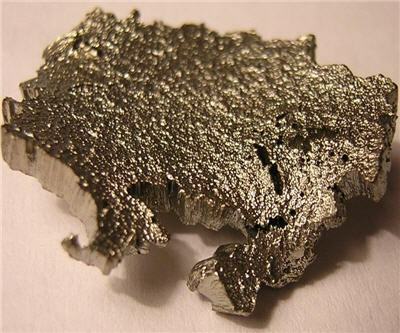 China, Russia, the Ukraine, and the US are major producers of scandium, with global production estimated at about 10 tonnes per year. Scandium is a silvery-white metal used in a variety of applications, such as an additive to enhance heat/corrosion-resistance and strength of aluminum, as an electrolyte in solid oxide fuel cells as well as an electrode in metal halide lamps and alkaline batteries.